When people think of debt repayment, the first thing that comes to most people’s minds is getting a large debt consolidation loan and paying everything off with that. The problem is, even with a large debt consolidation loan, you are still left with debt. But still there are ways to borrow, but before you do that and consider alternate debt repayment ways, you should first ask yourself is there another way? You need to keep enough cash for three to six months of emergency money, but if by chance there is more, think about using that. You should also think if you have assets you can use? You may have some savings bonds, or some stock options, or an inheritance. However, think carefully before you use long-term assets as alternate debt repayment options, as you may need this money in retirement. Thinking hard if you are making payments on things you don’t really need is important when considering debt repayment. Questions like ‘do I need the car’, and “do I need that Starhub TV” must all be considered, and you must be willing to get rid of the things and plans which are not really necessary. In considering alternate debt repayment, you could you take a second job temporarily, and use the money from that to make extra payments on your debt. Perhaps your spouse or your older children take a temporary job to get you out of a tight situation as well. If you do decide to borrow to deal with debt repayment, there are a number of different kinds of loans, which comes with the risks associated with them. You can’t borrow money without risk. All of these types of loans can be used for the purpose of debt consolidation and debt repayment. There is however a Catch-22 that many people face when looking to dig out of debt: the more you owe, the tougher it is to borrow, and the higher the interest rate you pay. Your goals should be to minimise the interest you are paying, net of tax, and to pay down the debt as quickly as possible. If you live in a private apartment and have equity in your home, that is a logical place to look for funds. The interest rates are usually reasonable on home equity loans and lines of credit. The down-side is, f you can’t pay the loan back, you risk losing your home. You may also refinance your first mortgage if current market rates are lower than your existing mortgage rate. The interest is tax-deductible. But if you default on your mortgage, you risk losing your home. Also, consider the costs of refinancing when evaluating this option. If you have any retirement plan, that could also be an alternative debt repayment source. But be mindful that you are borrowing from yourself, and are usually paying yourself back at the prime rate, or close to it. As such, you limit your return to approximately the prime rate, and if much of your retirement plan money is in equities, and they are performing well, you may be giving up quite a bit of gain. There is also the risk of not paying the loan back, being subject to withdrawal penalties, and jeopardizing your retirement. Permanent life insurance is another source you should consider. The interest rate varies depending on the company, as do the fees. How much you can get depends on the cash value in your policy. If not repaid, you risk death benefits being reduced. You cannot rule out family and friends when considering alternate debt repayment sources. But by doing that, you risk severe strains on the relationship. So, make sure that the loan is documented in writing and includes the specifics of the loan arrangement, such as the date of the loan, the parties involved, the date by which the loan is to be repaid, the number of payments, the interest rate (if applicable), etc. If the loan is for a large amount, consider having a lawyer draft a legally binding document. Personal loans, regardless of if they are secured or unsecured, are another alternate source for debt repayment. But be mindful that interest rates tend to be high, and you risk getting further behind the 8-ball with high payments. 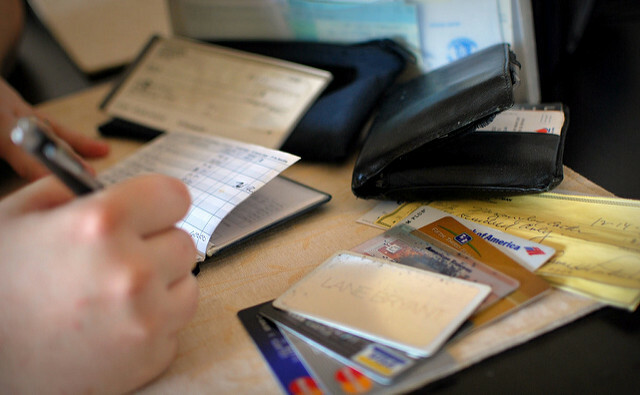 Credit cards come in the same category as personal loans. But the risk about borrowing from credit cards is, the interest rates are generally up to 24%. Licensed money lenders may offer you personal loans as well and the law requires that they charge no more than 4% interest per month on the amount you have borrowed. The post Alternate debt repayment ways requires careful consideration appeared first on iCompareLoan Resources.